IronPdf is our Microsoft C# / .Net library making it easy for developers to generate PDF files from within desktop applications, server applications and ASPX websites. Use your HTML, CSS and JS skills to generate print quality PDF files. ASPectX is a point n tap web development tool for asp and aspx. PDF WRITER Creates PDF files from All Printable files & all Images. It Creates PDF files From MS Word (DOC,DOCX), MS EXCEL (XLS,XLSX), MS POWERPOINT(PPT,PPTX), all xml,html,shtml,ini,txt,asp,aspx,php,htm & Images as JPG/JPEG,TIF,GIF,PNG,BMP etc. Batch converting documents automatically to pdf, documents formats that are supported are: word doc, docx, docm, xls, xlsx, xlsm, rtf, jpeg, png, gif, tiff, emf, wmf, bmp, psd, dwg, dxf, mht, txt, html, aspx, php, pdf, pst, ost, msg, eml and more. 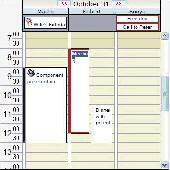 A scheduling control for ASP.NET 2.0, Drag&Drop and Edit-in-Place is supported and a system calendar can be used for navigation. Includes C# source code. Apex SQL Clean tool looks for and deletes unreferenced and unused Database objects like tables, views and procedures. Apex SQL Clean includes a powerful visual Dependency viewer that converts database dependies into a graphical display. A calendaring control for AS.NET 2.0, Drag&Drop and Edit-in-Place is supported and a system calendar can be used for navigation. Includes C# source code. Email Templates is an add-in to Microsoft Outlook for sending personalized messages rapidly to individuals & multiple recipients. ET has the ability to create customizable message templates speeding the handling of email. Free lite version available. FindinSite-MS is a search engine for a MS hosted web site, configurable to look like part of your web site and index as often as you want. Find in Site is an ASP.NET application for Windows servers, including shared hosts. The Gplex Database Crawler retrieves all your tables, packages, procedures, triggers, views, functions and then indexes them so you can have Google-like searching for your databases for SQL, Oracle and DB2. Similar to Google Desktop Search. This ASP.Net component tracks users' geographic location including country, state, city or even zip code. The technology is non-invasive and undetectable. Includes 1 click integration with the Microsoft Visual Studio toolbox. Teroid ASP Data Export Control is an ASP .NET control allowing users to download data from an ADO .NET DataTable object in XML, CSV or HTML format.